Flanged butterfly valves have longer face-to-face dimensions and stronger structure, compared with wafer or lug type butterfly valves. The vulcanization or lining process is therefore more complicated than wafer or lugged butterfly valves. 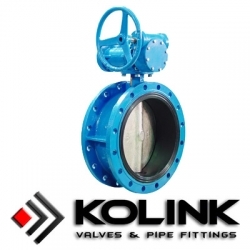 For butterfly valves size larger than 24", flanged end is recommended for longer service.